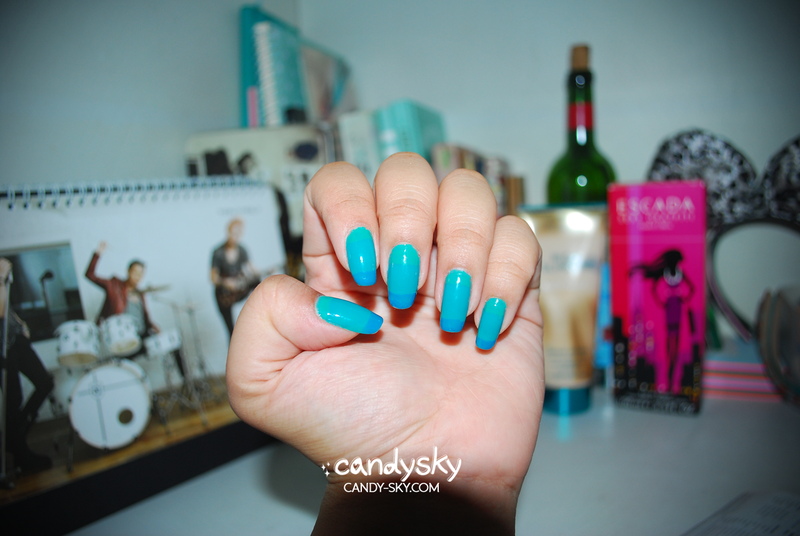 Are there any nail lacquer colors that you love wearing during the summer season? 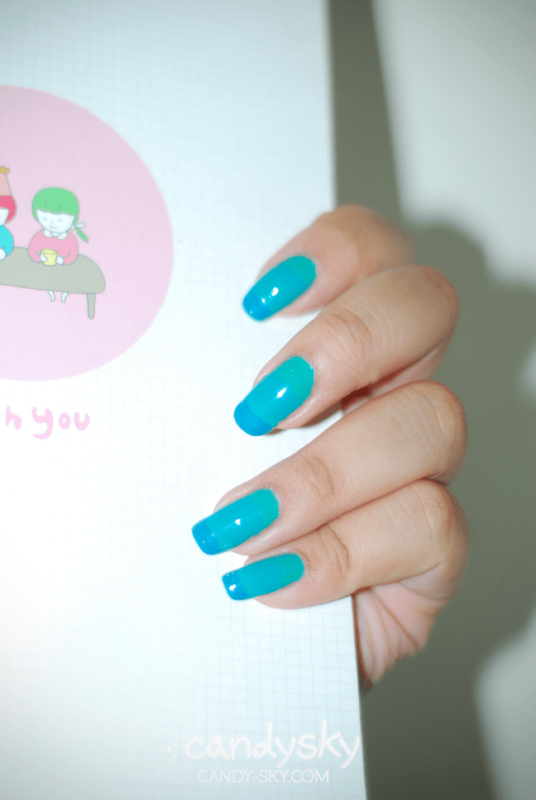 For me, I love wearing cool colors, like teals and blues. 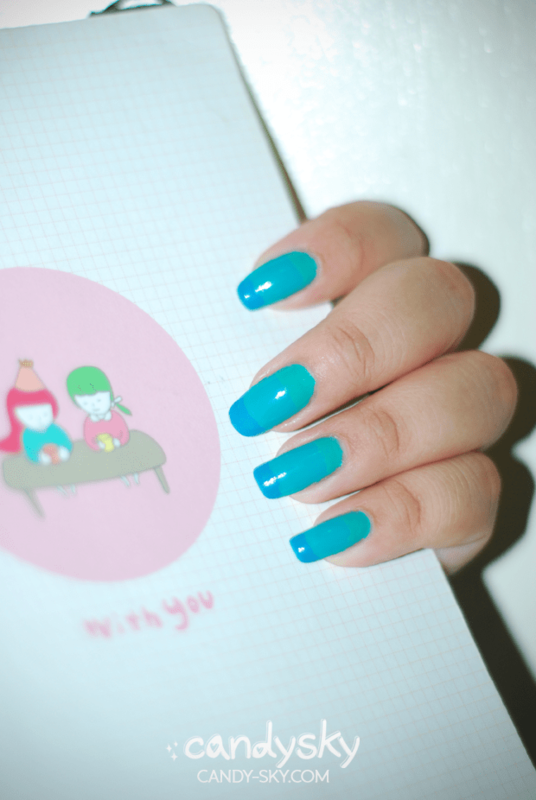 ^^ Because it reminds me so much of the perfect skies, and of course, the sea! I know the season’s almost ending, but summery bright colors are always, always a must-have! I’m honestly not as detailed when it comes to nail art unlike my sister, Katie. While she enjoys painting intricate designs, I tend to play around with colors and shapes more. 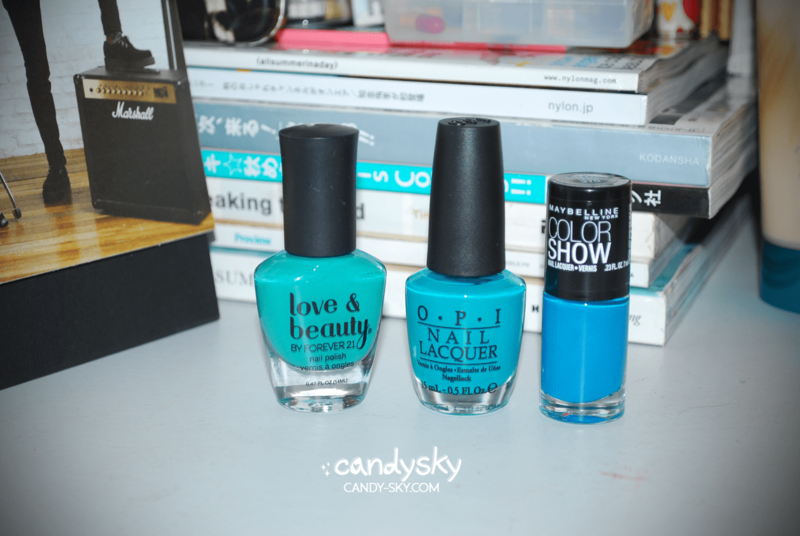 From L-R: Love & Beauty by Forever 21 in Avocado, O.P.I Fly and Maybelline Color Show’s Shocking Seas. I actually started out with O.P.I Fly as my base color. I was planning on wearing it as is, but for some reason I felt uncomfortable with it alone (lol), so I decided to add in the Maybelline Color Show Shocking Seas to my tips. But I wasn’t satisfied so with Love & Beauty in Avocado, I added another layer on the upper part.